Are you and your significant other expecting a bundle of joy soon? The excitement of parenthood may have you overlooking the additional expenses associated with this amazing life experience, which is why we have gathered a list of tips for new parents to help you along the way. These quick and easy tips can help you manage your finances simply by learning from experienced parents and how they maximized their dollar. If you will be purchasing new clothing for your new bundle of joy, try to stick to neutral colors. This will help if you decide to welcome baby number two in a couple years. If you purchase all blue clothing, you will find it more difficult to reuse many of the essentials you already purchased. There are so many convertible items that you can choose for that will allow your essential equipment to grow and adapt at the same pace of your child. Cribs, strollers, and high chairs almost always have a convertible option. Look for coupons, discounts, and flash sales! Many baby stores allow you to sign up for their email lists and newsletters so that you can be in the know for any deals coming up. Now is the perfect time to start thinking about your child’s education, as the sooner you start saving the more you will have saved up. Purchasing a life insurance policy at this time will only make the policy less expensive and more beneficial for your little tike. Contact McCarty Insurance Agency in Fresno for all of your California insurance needs. 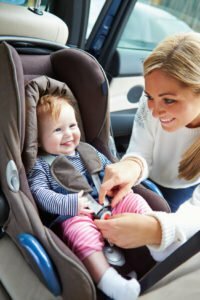 As expecting parents in Fresno, California, you must be matched with an insurance agency that can meet your immediate demands. Allow us to provide you with coverage confidence as you welcome your new bundle of joy.